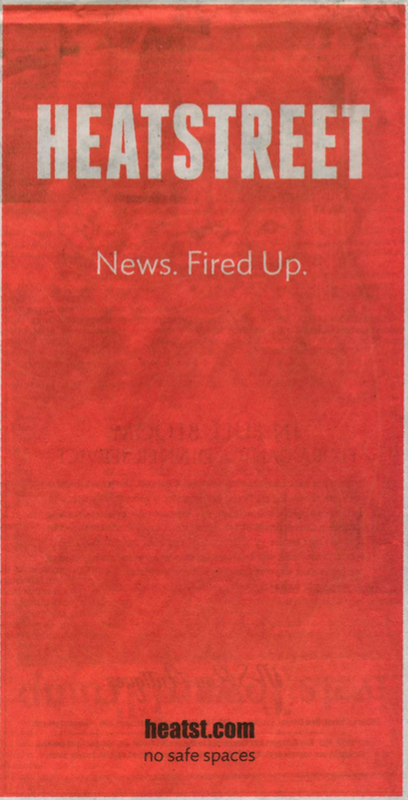 The Weekend Wall Journal featured this quarter-page ad for HeatStreet.com – the second time it’s run in the Journal in the past few weeks. 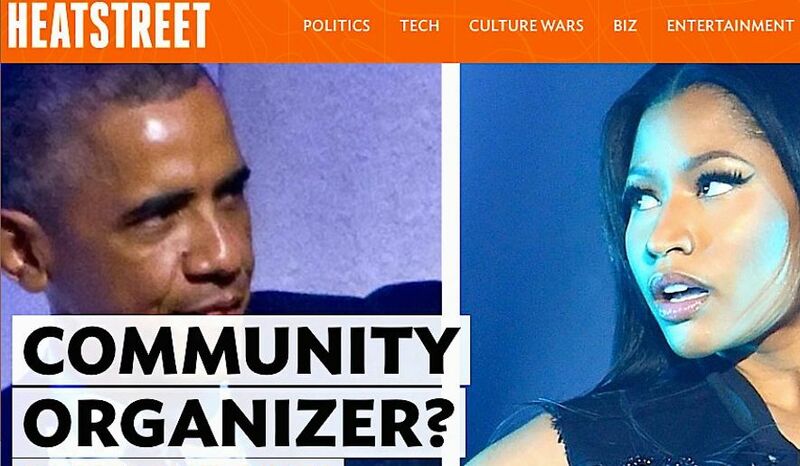 The site – a product of Dow Jones & Company, parent of the WSJ and a wholly owned subsidiary of Rupert Murdoch – looks like the Journal on amphetamines. Better question: Was Prince actually Tourettic? I don’t know whether The Artist Formerly Known As Prince is Tourettic or obsessive-compulsive in his human life, but I know for certain he is deeply so in the life of his work. Music has never made much of an impact on me until the day in 1986 when, sitting in the passenger seat of Minna’s Cadillac, I first heard the single “Kiss” squirting its manic way out of the car radio. To that point in my life I might have once or twice heard music that toyed with feelings of claustrophobic discomfort and expulsive release, and which in so doing passingly charmed my Tourette’s, gulled it with a sense of recognition, like Art Carney or Daffy Duck — but here was a song that lived entirely in that territory, guitar and voice twitching and throbbing withing obsessively delineated bounds, alternately silent and plosive. It so pulsed with Torettic energies that I could surrender to its tormented squeaky beat and let my syndrome live outside my brain for once, live in the air instead. And here’s how conservative stalwart Washington Times sees it. The sparse media marketplace dedicated to the needs of conservatives, right-leaners and liberty-minded folk just got a little larger. 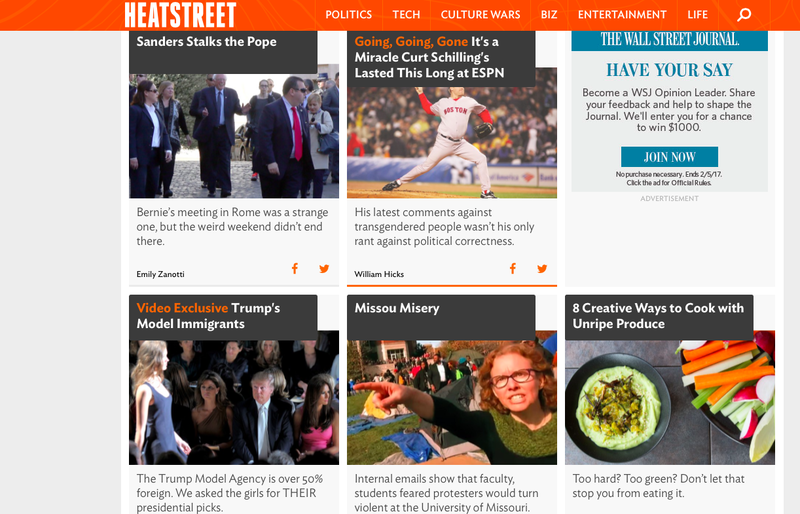 Ambitious and toting a little kryptonite: That would be Heat Street, an ambitious new online news site launched Monday by Dow Jones & Company, which also publishes The Wall Street Journal. We’ll see if self-regarding, self-conscious, self-abusing readers will follow suit. 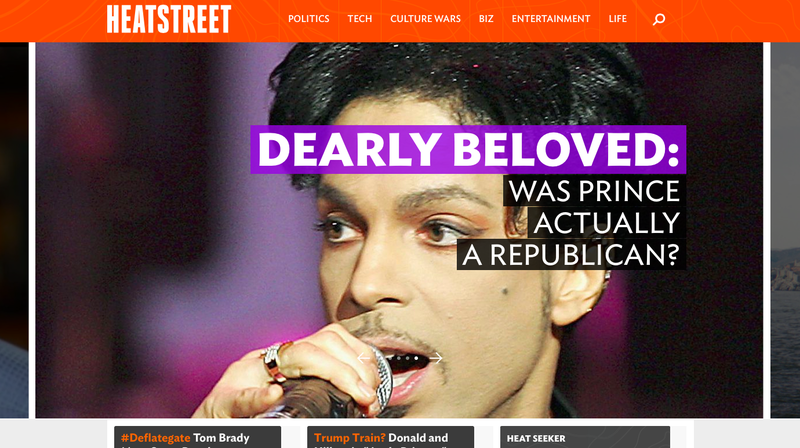 This entry was posted in Uncategorized and tagged Dow Jones & Company, Heat Street, HeatStreet.com, Jonathan Lethem, Kiss, Louise Mensch, Motherless Brooklyn, Noah Kotch, Prince, Rupert Murdoch, The Artist Formerly Known As Prince, Tourette's syndrome, Wall Street Journal, Washington Times, Weekend Wall Street Journal. Bookmark the permalink. Can you get the WSJ’s Heat Street at Golden Corral now? Along with the rest of the new “fired up favorites” on their menu? Let’s wait for some ComScore numbers before we get too fired up, eh Bob?